How can leaders in these industries embrace change and 'future-proof' their businesses? 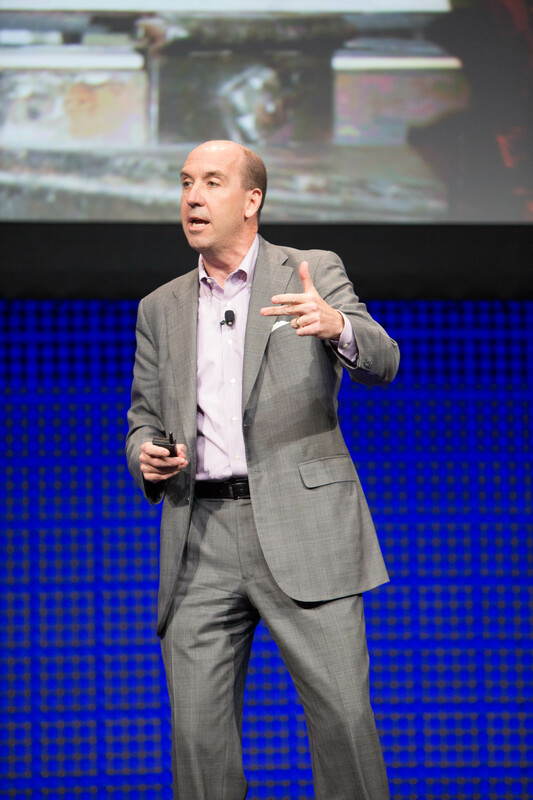 NEWPORT BEACH, Calif., September 21, 2018 – Futurist speaker and best-selling author Jack Uldrich is in Newport Beach, California, today to speak to leaders at BankDirect Finance about the future of insurance and finance, and share his insights on how they can better position themselves to survive and thrive in a fast-changing future. According to Uldrich, insurance and finance businesses are experiencing incredible transformation due to rapid advancements in technology. In his presentation today entitled “The Big AHA – How to Embrace Today's Trends to Create Tomorrow's Opportunities,” Uldrich will outline the trends and technologies that are reshaping the future of these industries. They include recent advancements in blockchain technology, machine learning, nanotechnology, 3D printing, robotics, data analytics, wearable technologies such as virtual reality, the internet of things and the sharing economy. “AHA” is Uldrich's acronym for Awareness, Humility and Action. He believes these core concepts will empower leaders regardless of what type of technological changes occur over the next few decades in the industry. If you broaden your awareness of the periphery, stay humble about the need to unlearn and become an active thinker, you will come to your 'A-HA' moments and better position yourself and your organization for the future. Uldrich will also explore how having humility can help leaders embrace change and adapt. “Organizations must strive to enhance their awareness of changes on the horizon, have enough humility to acknowledge that what served the business well in the past might not be sufficient tomorrow and they need to be willing to take action in the face of less-than-perfect information,” says Uldrich. Uldrich suggests: “If you broaden your awareness of the periphery, stay humble about the need to unlearn and become an active thinker, you will come to your ‘A-HA’ moments and better position yourself and your organization for the future.” He will conclude his presentation with concrete actions and specific decision-making questions all leaders must ask themselves today to create a successful tomorrow. The author of 11 books, including The Next Big Thing is Really Small: How Nanotechnology will Change the Future of Your Business and Jump the Curve: 50 Strategies to Help Your Company Stay Ahead of Technology, Uldrich is internationally recognized for his research and speaking on technology, change management and leadership skills. He is also an ongoing contributor on emerging technologies and future trends for publications including The Wall Street Journal, Forbes, Wired Magazine and BusinessWeek. Uldrich has addressed Fortune 100 corporations, venture capital firms, associations, not-for-profit organizations, and state and regional governments on five continents. His extensive client list includes Banamex, Global Atlantic, Invesco, Thrivent, United Healthcare, Professional Insurance Marketing Association (PIMA) Conference, the 100th-anniversary celebration for Captive Life Insurance (CICA), Fireman's Fund Insurance, CAS (Actuarial Society), Munich Reinsurance America, Chubb and Chartered Property Casualty Underwriter Society (CPCU). To learn more about Jack Uldrich, his books, his blog or his speaking availability, please visit his website.